Visual artist Clara Lieu (also Daniela’s freshman drawing teacher at RISD last year) has created an interesting (and creepy) series of sculptures as part of her Falling project. A visualization of her personal experience with depression and anxiety, as well as the sense of loss of control, Lieu worked with actress and model Marianna Bassham, to recreate these emotions and expressions. These fine art prints titled “HidingI – XIII”, depict a human face emerging out of darkness. 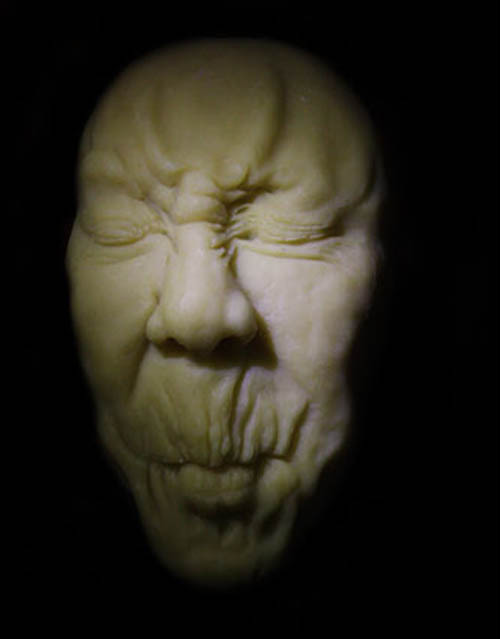 I sculpted a relief sculpture of a face out of ceramic clay, created a silicone mold, and cast the sculpture in beeswax. 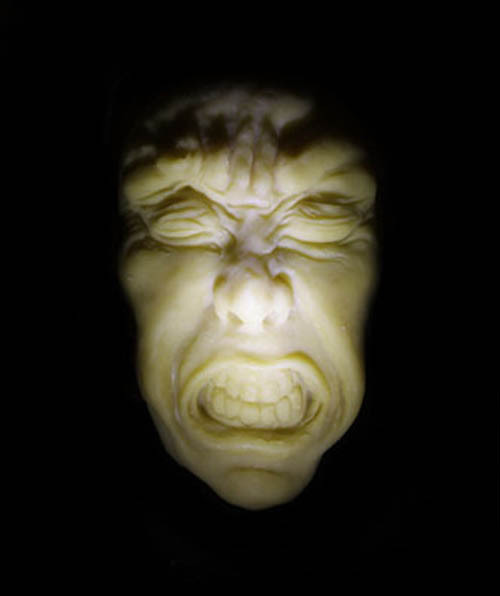 The sculpture was then lit with dramatic lighting, photographed digitally, and then manipulated in Photoshop. Lieu works in many mediums including printmaking, illustration, sculpture, and painting. You can see much more of her work on her website, and buy some of her work in her etsy shop. And here is an interesting interview where she goes into detail about her work.